Ken Yuszkus/Staff photo. Salem: Santa arrives. 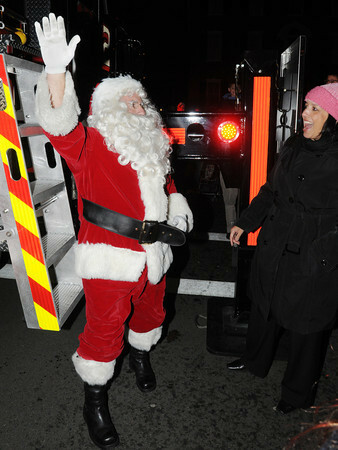 He just climbed down from the Salem Fire Department's new ladder truck and the Mayor Kim Driscoll is there to welcome him before he makes his way through the crowd to get to the tree lighting in Salem Common.